Most of us have heard of radon, and if we have bought or sold a house recently, the terms of the sale probably depended on a radon test. But that does not mean we have any idea of what radon is or the harm it can cause. Radon is an invisible and odorless radioactive gas produced when uranium naturally decays in soil and water. The Environmental Protection Agency confirms that radon gas is the leading cause of lung cancer among nonsmokers. 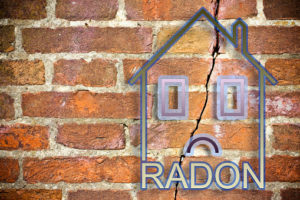 The EPA estimates that more than six million homes in the United States have a radon problem, and the toxic gas claims the lives of more than 21,000 Americans annually. 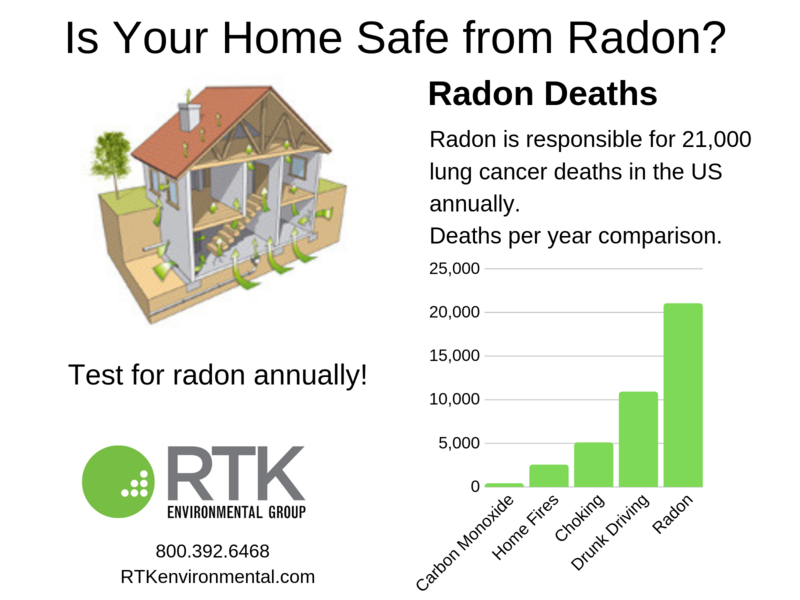 In fact, radon caused more American fatalities in 2018 than drunk driving, carbon monoxide poisoning, house fires and choking combined. Both the EPA and the Surgeon General urge every homeowner to test their homes at least every two years for radon. Radon testing should be part of a thorough indoor air quality test. Paints, solvents, cleansers, disinfectants, air fresheners, pesticides, nicotine, glue, home furnishings and building materials — the list of chemicals in our homes goes on and on – poisons the air we breathe. Even low concentrations of these chemicals can irritate your eyes, nose and throat; cause headaches, loss of coordination and nausea; and can damage the liver, kidneys and the central nervous system. Indoor air quality tests should check for radon, mold, carbon monoxide, volatile organic compounds (VOCs), particles from furnaces and wood-burning fireplaces and stoves, and common allergens. To schedule a test, call RTK Environmental Group at 800-392-6468, or click here. Facts on IAQ: I’m Breathing in WHAT? !